The Mysterious NidhiVan Temple - Where Gods Appears Daily!!! India is the only place in the earth where you will find most mysterious places. Some are still unknown or unexplored to most of us. I am sure we all have heard about Beautiful Nidhivan temple in Vrindavan, Mathura district. 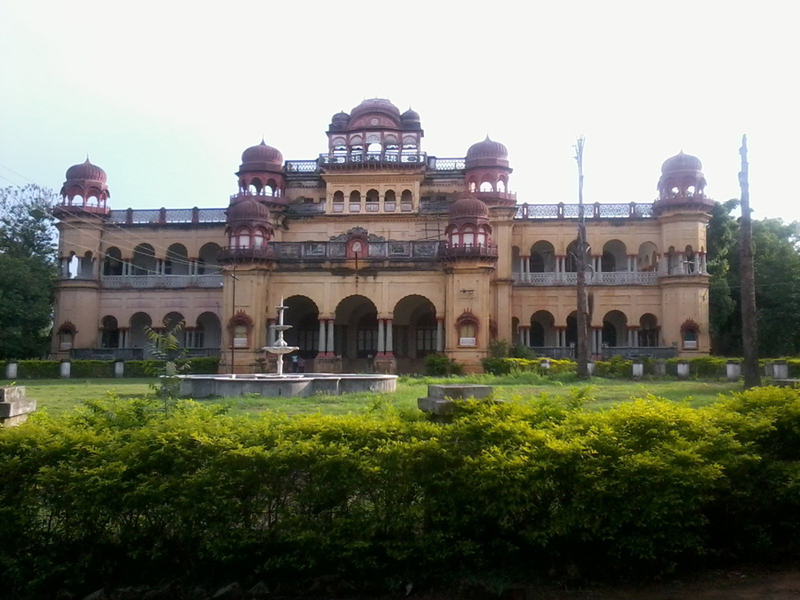 Place where Lord Krishna spent his childhood days also called Bankey Bihari Temple. But do you know mystery behind it? Nidhivan is a Bankey Bihari Temple, Bankey Bihari or Murlidhar, Kanha, Giridhar, Leeladhar and are just few names of Lord Krishna. Shree Krishna is believed to be the eighth avatar of Lord Vishnu. Shree Krishna was the 8th son of Devaki and Vasudev. NidhiVan is a sacred temple of Bankey Bihari in Vrindavan. The major part of the temple is surrounded with huge busy forests. The Temple derives its name from Nidhi meaning Treasure and Van meaning forest. Everywhere greenery and twisted trees. A very amazing thing about the forest that you can see as well is; all the roots, branches and the trunk of the trees are hollow. 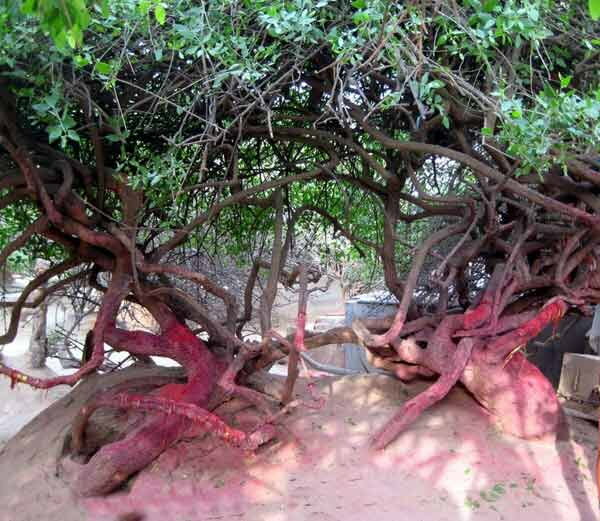 There is nothing life-giving inside it; also the land at the temple is really dry - still the twigs and leaves remain lively and green throughout the year. There are many interesting stories or myths behind it. It is believed that Lord Krishna comes here every night and performs spiritual activities (RasLila) with Radha and all his gopis. Inside the temple there is a beautifully ornamented statue of Lord Krishna and Radha (Radhe-Krishna Idol). 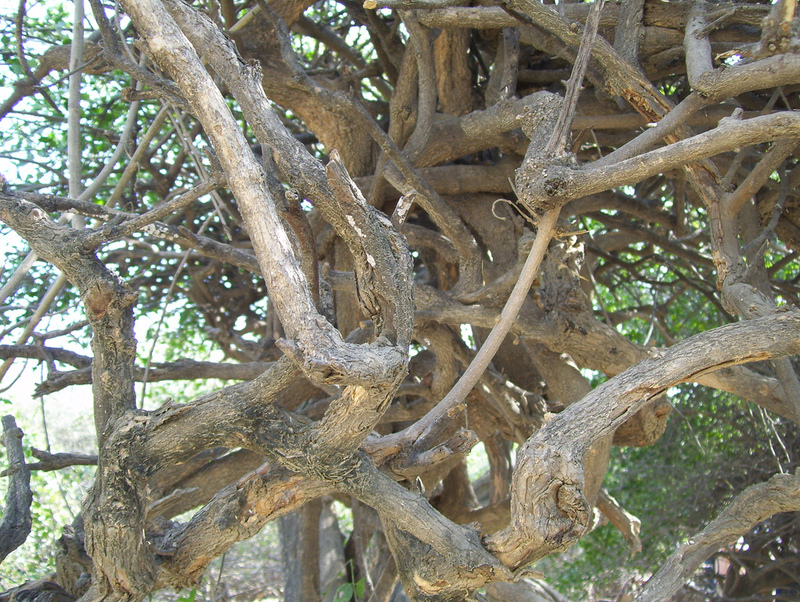 The park that surrounds temple is covered with small trees known as VanaTulsi (Basil Trees). As per the myth, Swami Haridas was a divine sage and a great devotee of lord Krishna. Seeing Haridas’s devotion, spiritual desires and hard reparation, Lord Krishna appeared in front of him. The place where Lord Krishna appeared is now known as PrakatyaSathal (place of appearance of Shree Bankey Bihari Ji). The Nidhivan temple is closed after the evening prayer as it is believed that Lord Krishna & Radha appear here at the every night to perform their spiritual activities (Ras Leela). If anyone sees these activities he/she becomes dumb, deaf, and blind or may be even dies. The person is not found hale and hearty in the morning to disclose the spiritual secret of Lord Radha Krishna, Inside the Rang Mahal priest daily puts two toothbrushes, a saree, bangles, paan leaves, some holy water in jug with four sweets (Laddoo) and ready bed after aarti in the night, but in the morning everything is found scattered and seen as if someone has used it and paan leaves are chewed so after evening aarati, no one is allowed inside the premise. Even all the monkeys that stay there leave Nidhivan after evening aarti. The natives of the place, the priest and care-takers are very well aware of the miracles. After the evening aarti, all the windows in front of Nidhivan temple gets closed till morning worship. Nobody dares to see Radhe-Krishna Rasleela. Many natives also claimed to have heard the sound of Ghungroos (Musical Anklet) at night. 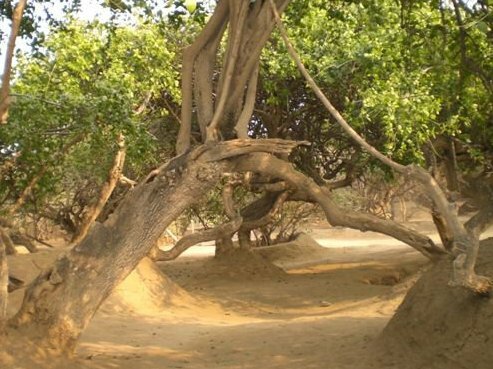 Another mysterious factor of Nidhivan is the shape and size of the trees covered this place. All the trees are very short and intertwined to each other. Almost all of these trees are of same size and shape. The trees are believed to be Gopis, and their intertwined shape depicts the love between themselves. There is no sign of birds nest or some insect on tree. 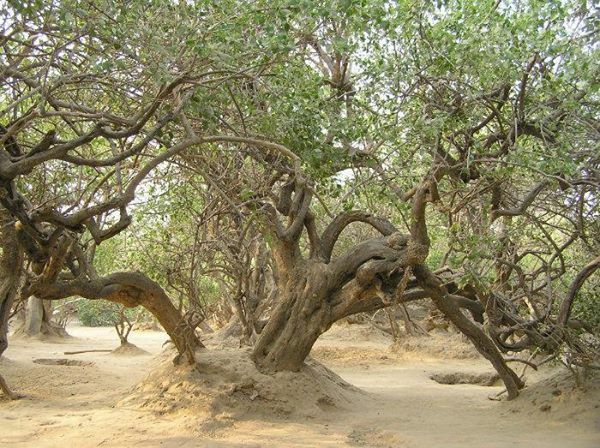 The Holy place and trees are said to be favourite of Lord Krishna. It is said that whatsoever worship here is benefited immensely. Many historians and scientists, had visited Nidhivan to unlock mystery behind it but came back convinced that this place really house the Lord. So if you are planning your next trip to a mysterious or religious place, my suggestion to must visit Mysterious Nidhivan Temple. Agra is the nearest airport from Vrindavan that is around 67 Kms away. Regular Flights connect Agra to important destinations in India such as Delhi, Mumbai and Kolkata. From the airport, you can hire a taxi to take you to Vrindavan. The Nearest International Airport is Indira Gandhi Airport, Delhi (terminal III) which is 150 kms. away. The Nearest major railway station is Mathura that is only 15 kms away from Vrindavan. Several express trains connect Mathura from other major cities of India like Delhi, Mumbai, Chennai, Bangalore, Kolkata, and Agra. Vrindavan is well connected to Mathura and all other important tourist destinations by bus services and is placed on direct road link from Delhi and Agra. Getting to Vrindavan from Mathura is very easy with the option of taking the frequent buses, shared tempos or taxis that are available throughout the day. The Haunted Dumas Beach Of Surat - Black Sand Beach !! 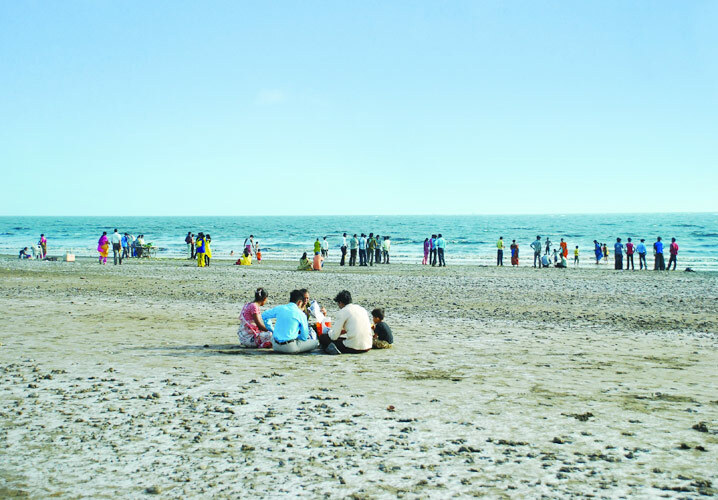 Dumas beach a very popular hangout destination in Surat is also known for its negative energy & paranormal activities. There are various stories on internet about Haunted Dumas beach and it’s also in the list of Top 10 haunted places of India. Today we’ll prove you that all these Haunted stories are actually true. Dumas is an urban beach along the Arabian Sea located 19 Kms. from the city of Surat in Gujrat. The beach is also famous for its Black Sand. There are total 4 beaches in Dumas but only two are known to most of the tourists and the other two are like silent beaches where you will not find any tourist. On the third beach a Hindu Burial Ground is there which as per locals the reason for Dumas Beach being haunted. Earlier this beach was a place to burn dead bodies. According to Hindu ritual, people who do not get eternal satisfaction roam to the place where they get cremated. Locals here believe that the Black Sand here is due to enough amount of ash which mixed with sand. Dumas beach looks terrible and scary with appearance of dark. Some people reported sound of whisper and loud laughter like someone is telling for not to go further with a horrible sense while walking at night on the beach. Locals here avoid walking over the beach at night. It is often found that dogs embarking all that time towards something invisible all times. . It is generally believed that some animals like dogs reacts on paranormal activities before any man. They have extraordinary senses toward supernatural existences. They behave frightened and unnatural on the beach. Even those people walk with their dogs they can't control the dogs on the beach. Some locals say that some tourist and local people who walked along on the beach at night, never returned. There is an old Haveli at Dumas beach known as Nawab Haveli was a palace (Qasri-Sultan palace) of Nawab Sidi Ibrahim Khan, The sixth Nawab of Sachin. Dumas village was named by the Nawab after his favorite author Alexandre Dumas, A French author who wrote “The Three Musketeers”. 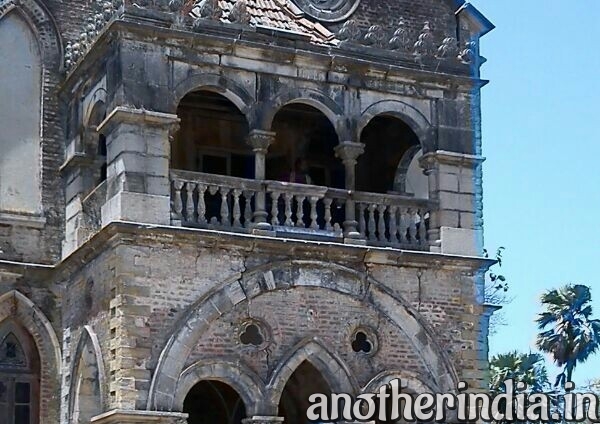 The local here believes this Haveli is also a Haunted House and no one dares to visit this Haveli. Some locals and tourist have seen image of somebody standing at the balcony of Haveli though this Haveli was closed long back for tourists. Last month a group of few of my friends visited Dumas Beach to find truth behind Haunted stories of Dumas. They randomly clicked few pictures of Nawab Haveli and you can see yourself what they actually got in these pictures. 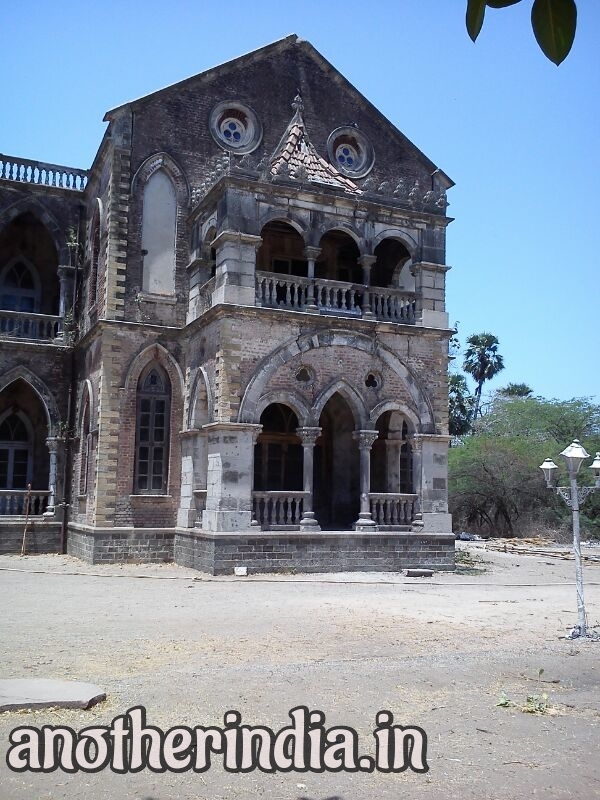 Many people who visited Dumas in search of paranormal activity have claimed to experience there is some negative energy present here who disturb humans not to roam on the beach at night and also some have clicked pictures where ORB can be seen. ORB seen in a picture are the proof of presence of spirits (Visible evidence of spirits). By road: Surat lies 234 km from Ahmedabad, 131km from Vadodara, and 297 km from Mumbai. Bus stations, both ST and private, are on the eastern edge of the city. From Surat city Rickshaw and taxi's are easily available for Dumas Beach. By rail: Train stations are also on the eastern edge of the city. By air: Various domestic flights connecting metros and other major cities are operational from the Surat Airport. Do you know there is a beach in Incredible India who disappears twice a day? Unbelievable! 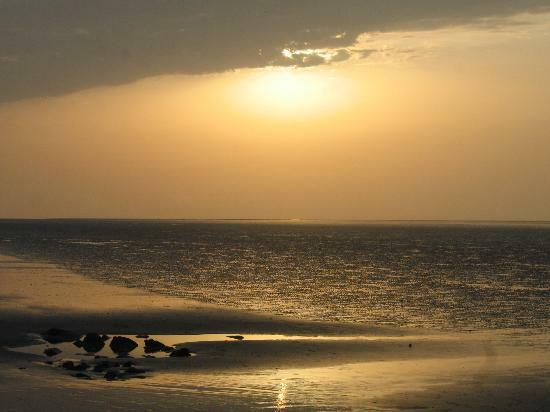 Chandipur sea beach is also known as Hide & Seek beach where water recedes between 2-5 kilometers during ebb tide (the time period between the high tide and the low tide) and returns to seashore at the time of high tide. This strange natural phenomenon happens daily here where you can actually walk or ride a bike into the sea. Here you can actually watch sea disappearing in-front of your eyes. The locals here are very well aware of the timings of high tide and its changing as per Moon cycle. 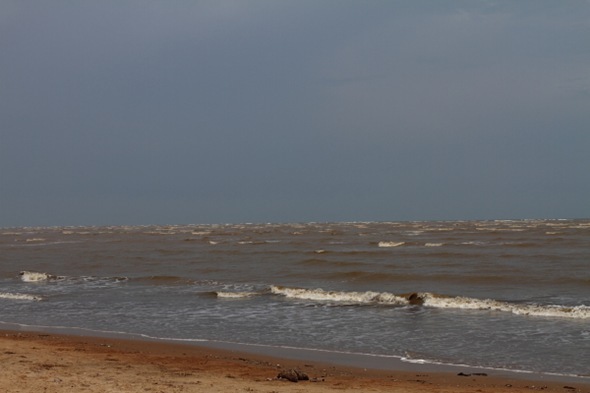 Chandipur beach is located 16 kms away from Balasore district railway station on National Highway 5 (NH-5) & 200 kms from Bhuvneshwar in Odisha (Earlier known as Orissa). The beach supports a varied range of Bio-Diversity. The beach has casuarinas groves and creepered white sand dunes add to its seductive beauty. One can easily find horseshoe crab or red crab crawling beside you. I must say this is the perfect place for foodies who love sea food - you will get taste of Oriya & Bengali dishes here. 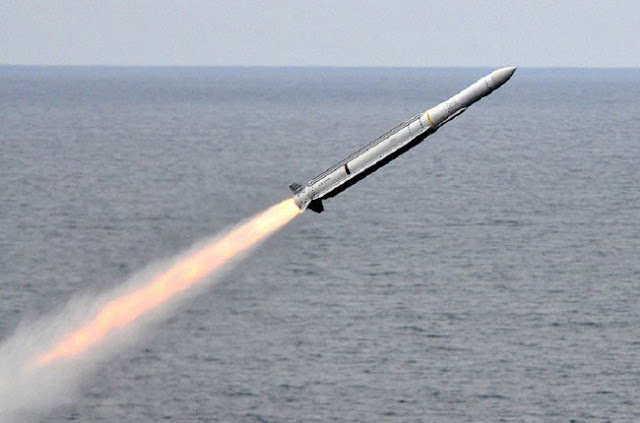 The Chandipur is also known for the location of Indian Army or Defence Research and Development Organization (DRDO) Integrated Test Range (ITR) a number of missiles have been launched from here, including Nuclear-capable Akash, Agni, Shaurya and Prithvi ballistic missiles. Devkund Waterfalls, Panchalinegeswar, Khirachora Gopinatha temple, Chandaneswara & Nilgiri Jagannath Mandir. 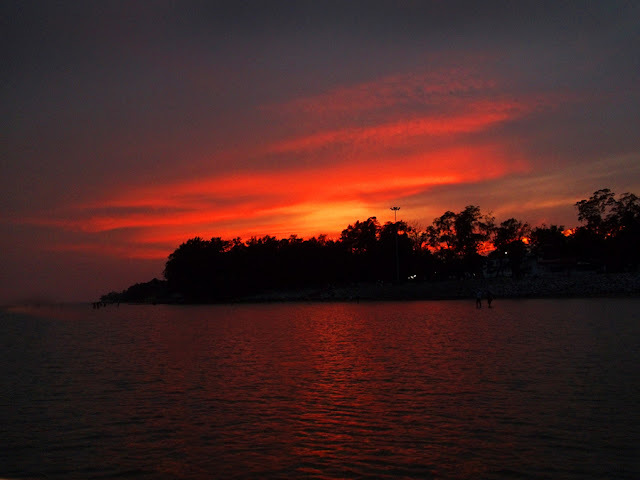 Air: The nearest air port to visit Chandipur sea beach is at Bhubaneswar which is connected with Kolkata, Delhi, Hyderabad, Raipur, Nagpur and Mumbai by boarding flights. Railways: The nearest railway station is at Balasore is on S.E.Rly. Roadways: Chandipur is 16 Kms by road from Balasore on NH-5; Bus services are available from Balasore to Chandipur Hide & Seek Beach. Between November to March is the perfect time to visit this place and a local golden beach festival is also celebrated here in the month of February showcasing Dance forms, Arts & Culture of State. Mayong - Land Of Black Magic & Witchcraft !! !